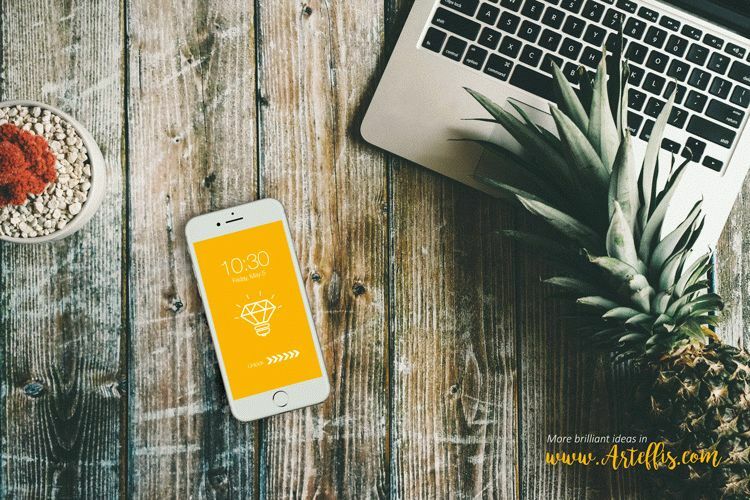 Free Iphone Mockup with a wood table with a laptop and a pineapple. You can move the Iphone around the table. I hope you enjoy it!